The UCURL is built upon the legacy and infrastructure of the University of Connecticut’s Northeast Underwater Research, Technology and Education Center (NURTEC) that officially closed on December 31, 2017. Over its 34 years at the university NURTEC acquired and developed unique underwater research tools that are now part of UCURL’s arsenal. These tools include several remotely operated vehicles, towed imaging systems and a side scan sonar. The 1000-meter Kraken2 (K2) is the most capable ROV and has been used for extensively for underwater exploration, research and recovery of oceanographic equipment. 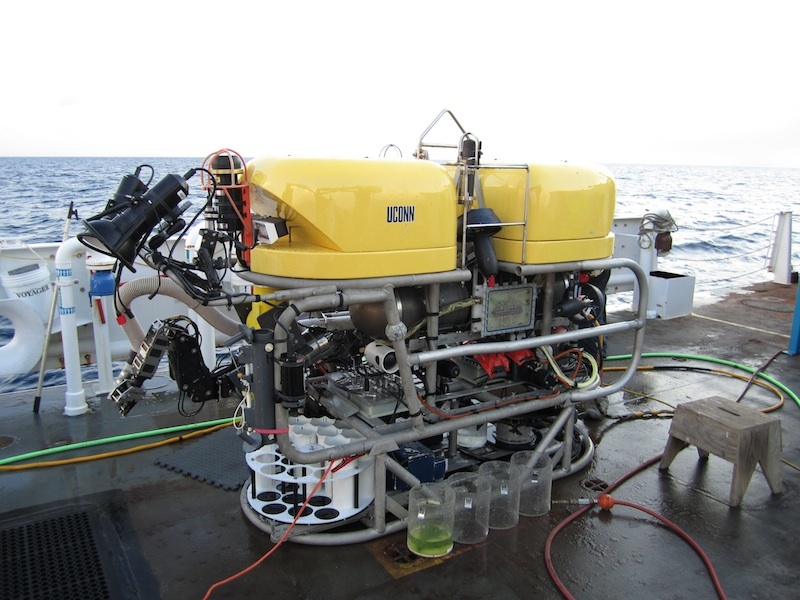 Recent investment in the K2 has been enabled by a grant from the National Science Foundation’s Division of Ocean Sciences (OCE#1623997) to develop a more capable and rapidly deployable ROV system. The K2 is ideally suited to work off from the RV Connecticut that has a dynamic positioning system, large deck capable of supporting the K2’s control van and a low freeboard for safe, efficient launch and recovery. A description of the capabilities of the K2 can be found below. More information about the legacy of NURTEC can be found here.